At Chartwell Townhouse Estates, each resident of our two bedroom townhouses will be able to indulge in the lifestyle they have always desired. Although we only offer a single two-bedroom floor plan, we are confident that its 1,245 square feet of lavish convenience will please you to no end. 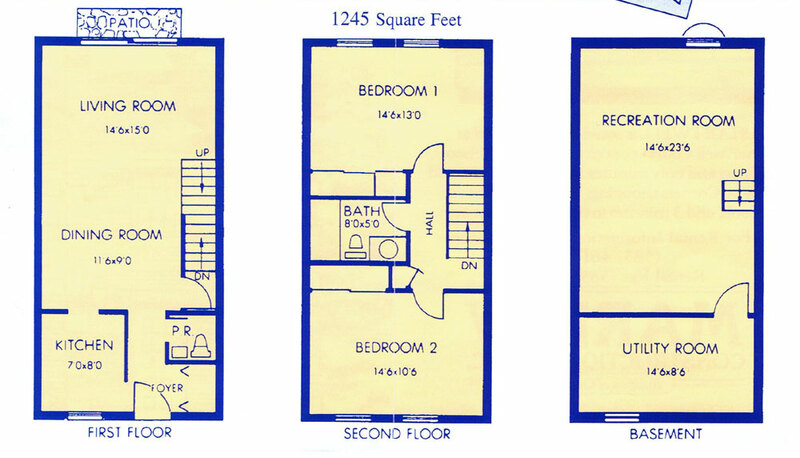 Along with our spacious floor plan, you will discover comforting amenities in your townhouse. At-home chefs will appreciate our remodeled, all electric kitchens with a stove, oven, refrigerator/freezer, and dishwasher. Fashion fanatics will adore our expansive walk-in closets to house all of their favorite wardrobe items. Whenever you need a breath of fresh air, step out onto your private patio or lushly landscaped yard. When you live at Chartwell Townhouse Estates, less is more with our impressive two bedroom/one and a half bath townhome—a true sanctuary where you can relax and recharge.